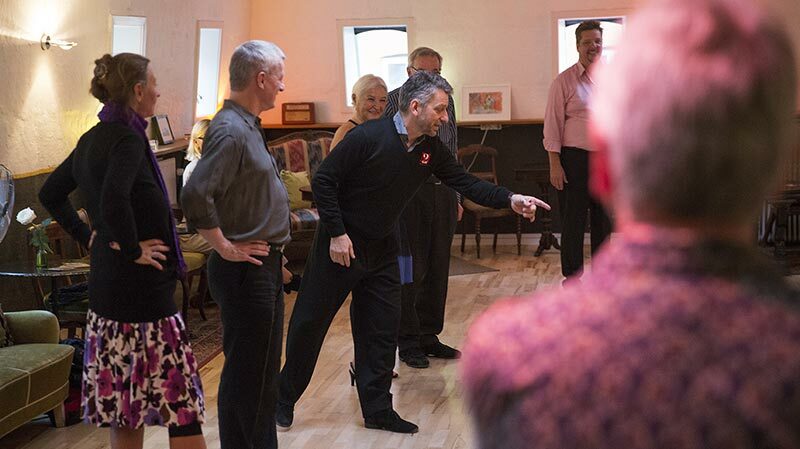 If you are new in the tango-world, and if you are planning to try an intro course or join a beginner's team, you can read more here. You are already dancing tango- read all about our classes from lower intermediate to advanced. M2tango is a professional tango study where you can both go for teaching and participate in a lot of fun and challenging tango events. We offer both dance lessons in Hillerød and Copenhagen - and our goal is to put Denmark on the global tango card. Argentine tango is full of life - giving energy, joy and closeness. Once you've started the dance, it's hard to stop again. When you dance tango, you forget everything about shopping lists and tomorrow's to-do list. You disappear in the moment and allow yourself to just enjoy the improvising character of the dance. Many describe the tango as a free space, and an exotic breath to life, where one can use another side by itself than one is used to. No matter what, we can at least guarantee a fun, liberating and different experience. What kind of training, can you go to? In M2tango, we have education in the levels: beginning, easy-going, advanced and advanced. At all levels, we will guide you thoroughly so you can develop, feel comfortable and enjoy the teaching.